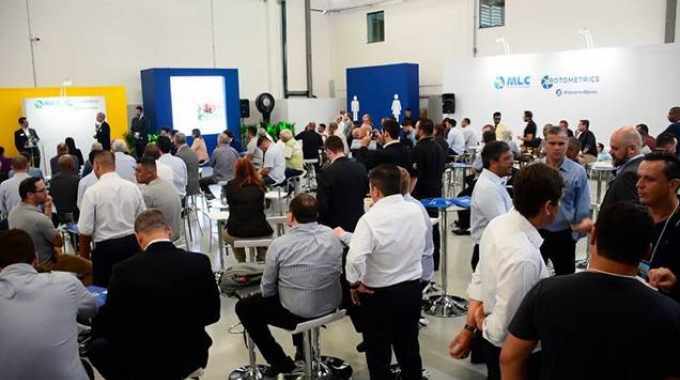 On March 21, RotoMetrics hosted the grand opening of the new RotoMetrics / MLC flexible die plant in San Paulo, Brazil. More than 200 customers and industry experts attended the event. Attendees were able to tour the facility and see local production of flexible dies for the Brazilian and South American markets. RotoMetrics’ new state-of-the art 2000 square meter facility houses the new flexible die manufacturing plant of RotoMetrics’ South American subsidiary MLC Facas de Precisão, the Company’s Brazilian operations organization. The plant will be the first to combine the best practices of three organizations and will feature Electro Optic die cutting technology for flexible dies.